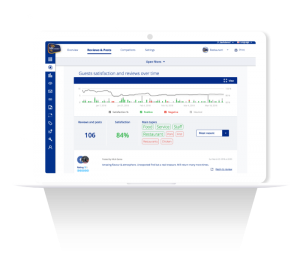 Digiquip can provide your business with SO REVIEW the best and easiest to use review management tool. SO REVIEW empowers you to improve your ranking on review sites. You can save time by collecting and responding to all your different reviews from one dashboard. Control your online reviews. We collect and scan reviews from different platforms and categorize them as negative or positive, and by subject. Best of all, you can reply to your reviews directly from our dashboard, saving you many hours of work a week. Automatically collect reviews by sending out a review request via email to first-time or returning visitors, and convert satisfied guests into positive online reviews. This helps you to keep on top of your reviews and beat competitors in online rankings. Get help from our experts to improve your response to reviews. Increase your guest satisfaction and request reviews via email to gather more and more positive reviews which results in a higher ranking across multiple online platforms. 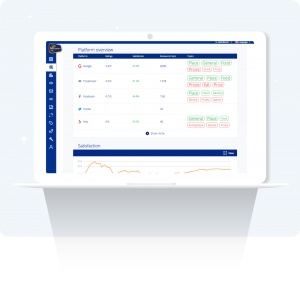 Sign in just once to receive all your reviews in one clear overview, sorted by positive or negative sentiment and per subject. SO Review continuously scans all sites such as TripAdvisor, Yelp, Google and Facebook for new reviews. Respond directly to reviews that concern topics that are most important to your restaurant such as food, service and pricing.. Learn to identify and disregard reviews that are less important to follow up. We help you to become more efficient and spend less time working on your reviews. Automatically collect more reviews on all review sites without much effort. Simply set up an automated, fully customizable email to both first-time and returning visitors to request a review. Mail-after-visit is the most effective way to encourage your guests to write reviews about their experience and share what makes them come back to your restaurant every time. 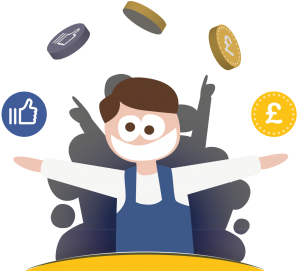 Knowing what to improve, offering better service and collecting more positive reviews all result in higher rankings on review sites. Make use of complimentary review experts, who will help you with replying and prioritizing your reviews. The increase in quantity and quality of reviews improves your rankings across different platforms. Rankings directly influence your position on booking websites and search engines. 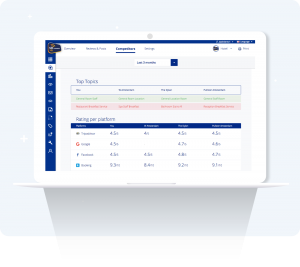 Select up to 5 of your direct competitors to benchmark their results against your performance. 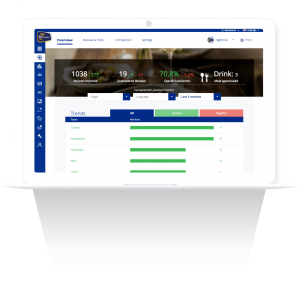 Compare all scores, rankings, reviews and sentiments from their guests to your own standards for service, pricing or food quality. Easily evaluate your performance to see where you underachieve or outperform at a glance. Take actions that help improve your overall quality and get you ahead of the game. 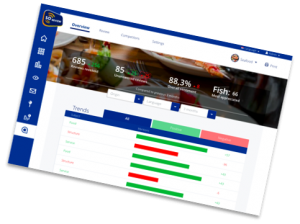 One platform that enables you to respond to all online reviews from all different review sites in one clear overview. An algorithm categorises the most important subjects and measures positive and negative sentiment, creating a score per subject. Choose who you wish to compare your data with and compare scores. Easy notifications keep you up to date when a new review that requires follow-up occurs. The SOCONNECT team of experts is always available to answer your questions, while in the dashboard or via phone and email.